I kept busy this week working on the Scrappy Stars quilt, but I’m just getting started quilting it. 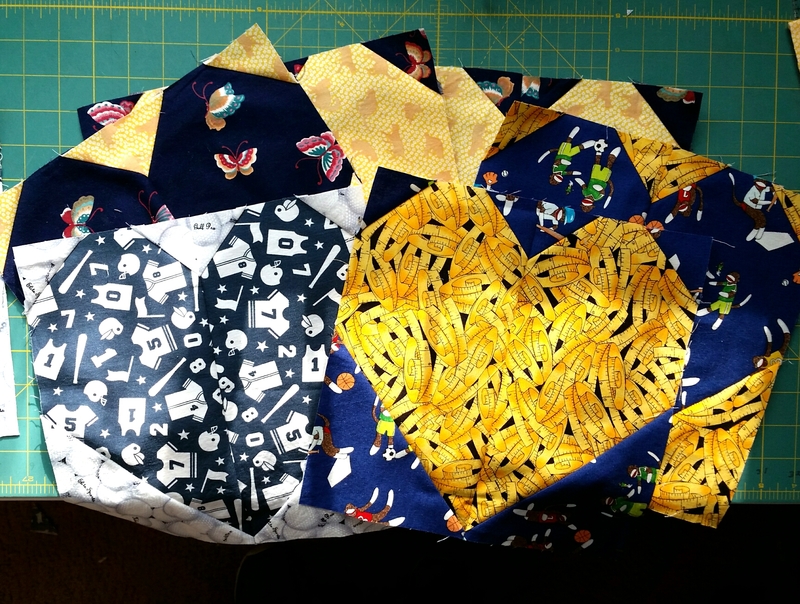 The only finish is twelve heart blocks for HollyAnne’s Quilt for Cure block drive. They make up quickly. Mine used two yards of fabric. 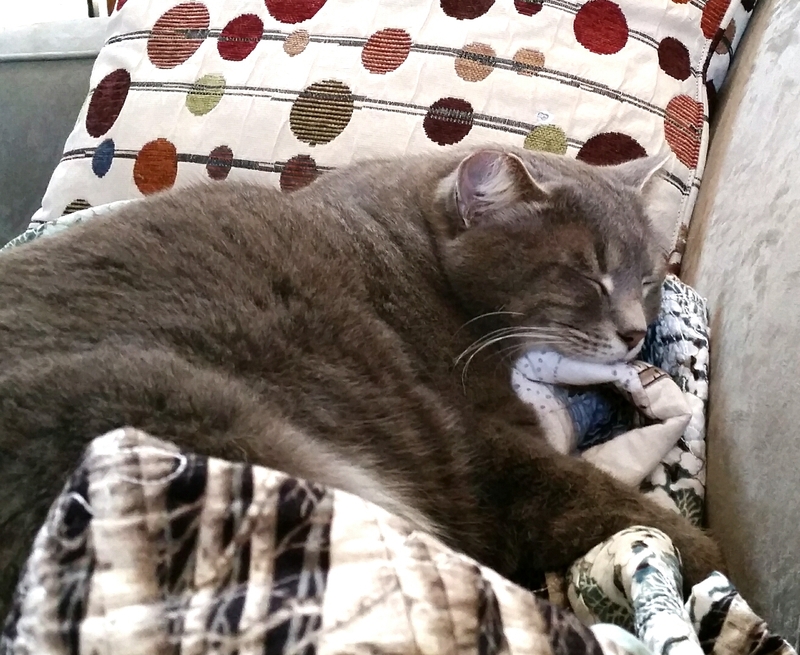 I’m linking up to the Stash Report at Patchwork Times, and Sew Some Love at Kat and Cat Quilts. Your cat looks supremely contented! Great job in using up your new stash. I see the ‘added’ number dwindling and know you will get to the destash point soon. Keep up the good work. Awwwww love that kitty. Thanks for linking up! Thanks for sharing the Quilt for a Cure block drive!! I’m off to check it out.